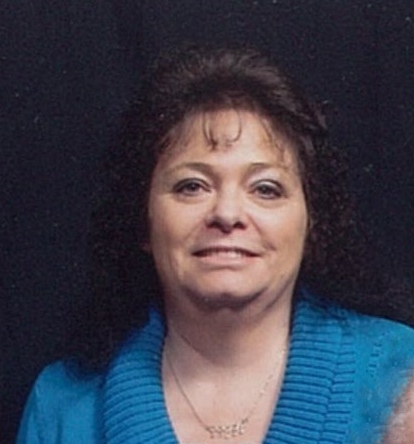 Evelyn Faye Power, 56, of Olive Hill, KY, entered into rest at UK Medical Center in Lexington, KY; Sunday, March 31, 2019. She was born March 29, 1963 in Maysville, KY, a daughter of Lillie Mae Thurman and the late Donald Dean Bloomfield. Faye was of the Baptist faith and attended many churches, most recently Kingsway Church in Olive Hill. She enjoyed volunteering at charity events, sewing, cooking, canning and babysitting. She especially loved spending time with her family and spoiling the kids. In addition to her father, she was preceded in death by her step-dad of 38 years, Virgil “Bud” Thurman, her Mother-in-Law, Lillie Mae Middleton; one step-sister, Janie Lee; two brothers-in-law, Lonnie Godbey and Lowell Middleton; one niece, Katrina Godbey; and two nephews, Jonathon Hickerson and T.J. Durham. In addition to her mother, she is survived by her loving companion of 29 years, Clayton Middleton; 4 sisters, Elsie Middleton (Mike Carper) of Carter, KY, Patricia Hickerson of Flemingsburg, KY, Dovey Hamilton (Doug) of West Union, OH, and Rhonda Godbey (Eddie Carver) of McDermott, OH; two brothers, Harold Rickett of McDermott, OH and Charles Durham (Lori Short) of Jackson, OH; one niece, Rebecca (Nathan) Dummit, two great-nephews and one great-niece of Olive Hill, whom she helped raise; seven step-brothers; six step-sisters, and one sister-in-law, Edna Middleton of Olive Hill, KY. In addition to these, Faye also leaves behind several nieces, nephews, relatives, close friends and neighbors who will greatly miss her. Funeral Services will be conducted 1:00 PM Friday, April 5, 2019 at the Duvall & Moore Funeral Home & Cremation Service, with Bro. Jimmy Barker and Bro. Junior Logan officiating. Burial will follow in the Binion Cemetery. Friends may visit 6-9 PM Thursday, April 4, 2019 and from 9:00AM-1:00 PM Friday at the Duvall & Moore Funeral Home & Cremation Service, 149 Whitt Street Olive Hill, KY 41164.